Quentin Tarantino has chosen Roth to play a role in his upcoming movie Inglorious Bastards. 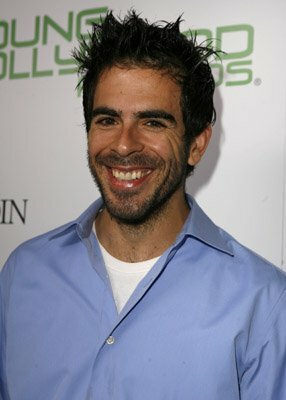 Unfortunately, it’s not Tim Roth but Tarantino’s friend, director Eli Roth. Roth is being wooed to play Sgt. Donnie Donowitz, a baseball-wielding nazi hunter. I have to admit that I am disappointed that a different Roth has been in talks to star in this movie. I think Tim Roth should be cast as he is one talented actor. I am still hoping that this is actually a miscommunication and that they are referring to Tim Roth all along. Brad Pitt is still in negotiations to play Aldo Raine but it looks like Leonardo DiCaprio will not be involved in the movie as Tarantino decided that the part of SS Col. Hans Landa should be played by a German actor.